Creating Friendships for Peace began as the successful all-volunteer Children’s Friendship Project for Northern Ireland, Inc. Peggy Barrett, a housewife in Pennsylvania, supported by her husband, Jack, founded CFPNI in 1987 based upon the simple vision that the divisions in Northern Ireland could only be overcome by building understanding, trust, and friendships between the teenaged leaders of the future from the two communities. Friendships would be supported by Americans who would host a cross-community pair of teens and who would continue to support their friendships in the future. CFPNI ended after the summer of 2007, only because the situation in Northern Ireland had improved to such a degree that bringing teens from the two communities to the US was no longer needed for friendship-building. Over its 21 years, CFPNI brought teens from more than 2,000 different families in Northern Ireland and hosted them in about two-dozen different areas of the US. An enormous network of friendships remain that were formed through the program. Peggy’s vision lives on as she meets the 2009 CFP teens. Several CFPNI host families and US coordinators continued the work by organizing the Cyprus Friendship Program under a two-year pilot program with HasNa, Inc. in 2008. HasNa, Inc. is a Washington-DC-based non-profit organization that promotes understanding and economic empowerment in culturally-divided areas of the world and encourages individuals and communities in such areas to work together toward advancement and peaceful coexistence. In 2012, the Cyprus Friendship Program, Inc. became an independent non-profit charity. 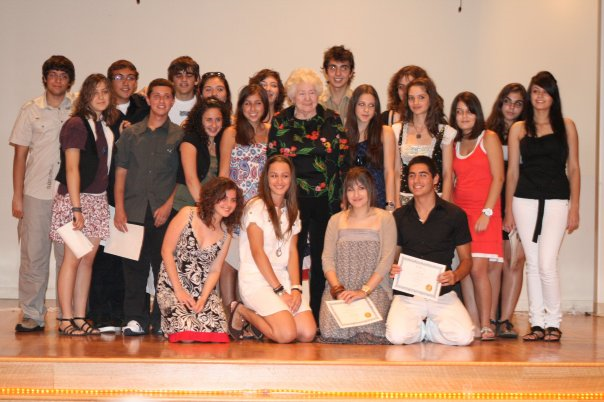 In addition to the home stays offered in the U.S., the Cyprus Friendship Program includes an active curriculum in Cyprus led by a Cypriot team of volunteers. Opportunities for families of the teen pairs to meet and learn about each other has resulted in many friendships of the parents as well. By 2018, CFP had graduated 770 teens. In 2018, CFP initiated a pilot program with Jerusalem Peacebuilders to provide home stays for teen pairs from Israel and Palestine. This pilot program was successful and a Jerusalem Friendship Program began in partnership with Jerusalem Peacebuilders. In order to better represent the addition of another conflict area of the world, CFP changed its name to Creating Friendships for Peace, Inc.